A beautiful gift set with a blush pink eye mask and a scented candle with a very special message. Timeless and alluring, the scented candle sets a relaxed mood that will help you unwind after a tiring day. Our pure silk eye mask is the perfect partner for the ultimate relaxation to leave you feeling calm and restored. 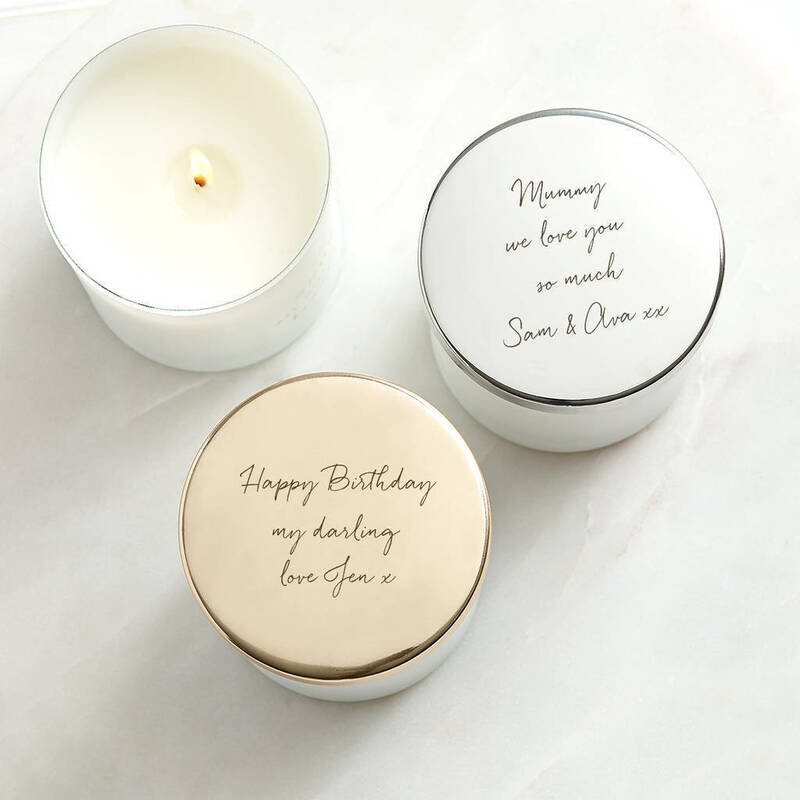 Your chosen words will be illuminated by candlelight with this very special glow-through candle. 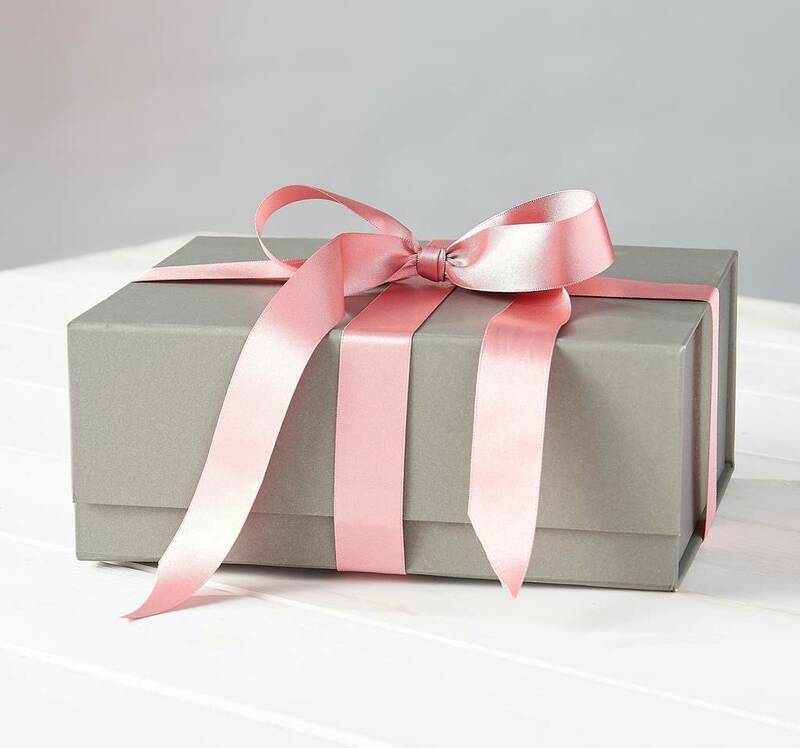 Beautifully gift boxed and finished with dusky pink hand tied ribbons. 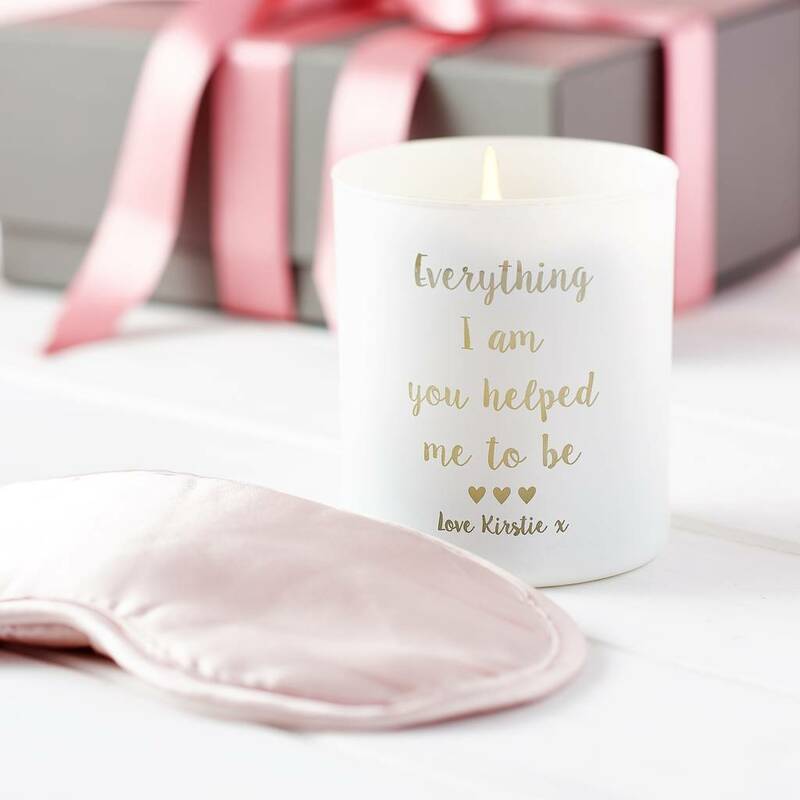 Pink Pomegranate- A timeless, uplifting scent for your home with notes of aromatic pomegranate and pink pepper paired with soothing notes of amber and patchouli. Wild Flowers - A wild meadow full of flowers and freshly cut grass. Pretty and carefree. Jasmine and Orange - light and pretty, the scent of just picked orange blossom and white jasmine fill the air. Lime, Basil and Mandarin- an uplifting and mood boosting scent with the essence of lime, basil and sweet mandarin. Fresh, zingy yet remarkably delicate. This product is dispatched to you by Lily Belle.